All the most memorable days I've had have been at Homewood. 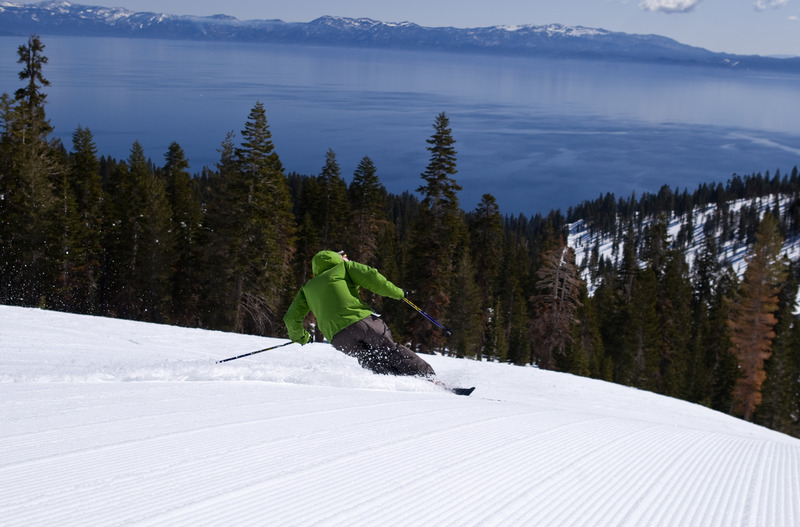 It has the best views of the lake, the best tree skiing, and longest lasting powder! If there is powder, you can enjoy it all day, unlike most resorts where it's skied out quickly. Homewood has so much great tree skiing that you can just play in the powder, zigzagging through the forest for the whole day-- you'll find yourself giggling like a little girl and hearing others laughing their asses off in every direction. It's that much fun when there's good snow here! The best places are around the Old Homewood Express chair, which is the fastest on the mountain. The face (Dutch Treat and those runs) are also great for powdery tree skiing, but then you have the slower Ellis Chair to get back up. All along the front face around the Ellis Chair are great tree runs where you likely won't run into another person until you reach the lift. The facilities are old and crumbling-- awaiting their redevelopment (hopefully soon...) The lodge and restaurants are not great. The mid-mountain blue bar (named after the pure blue lake views you get) actually has great wraps and snacks and you can sit out, listening to music and staring down at the whole of Lake Tahoe.